Big Green Bookshop (Wood Green) now stock Ellipsis and other books by small presses! The lovely people over at Big Green Bookshop are now stocking books published by small presses. They are a lovely independent bookshop who are prolific on social networking and seem like a generally lovely bunch. They have started a new initiative to give small presses a bit more exposure so have opened up a whole shelf just for this purpose. 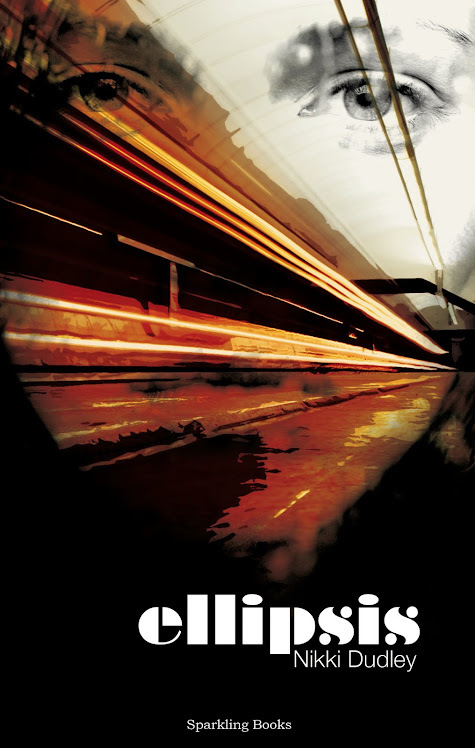 In other good news, one of those books they are now selling is Ellipsis! 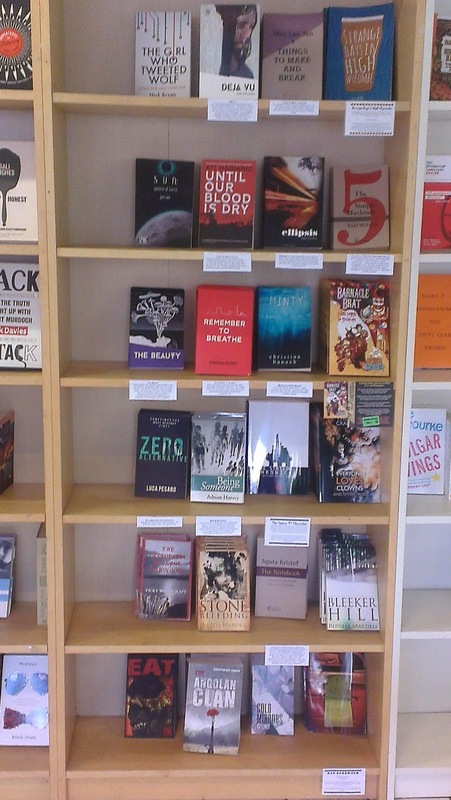 If you have a look in the below photo, you can see Ellipsis on the second to top shelf, looking all shiny and lovely. So, if you like independent books and independent bookshops, I suggest you get yourself down there! And if you still haven't bought Ellipsis yet, all the more reason! Seriously though, small presses have a hard time getting their books on the shelves at most bookshops so Big Green Bookshop are offering some great exposure and support for the little people. Please do the same if you can. Thanks as always. Read well, my friends. “No, no,” you said. I laughed. escapes – “colours lie to me” – colours lie. lonely keys [will keep them out]. the bus, stop the bus. Stop. The. Bus. Stop. Doors open and chest caves.